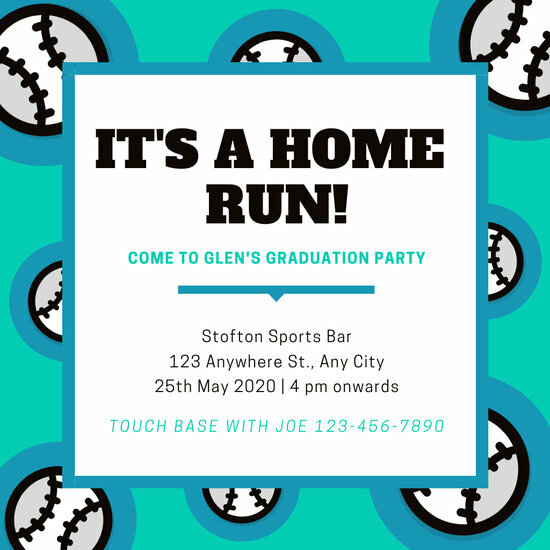 Make your milestone more memorable in the company of your best buddies. 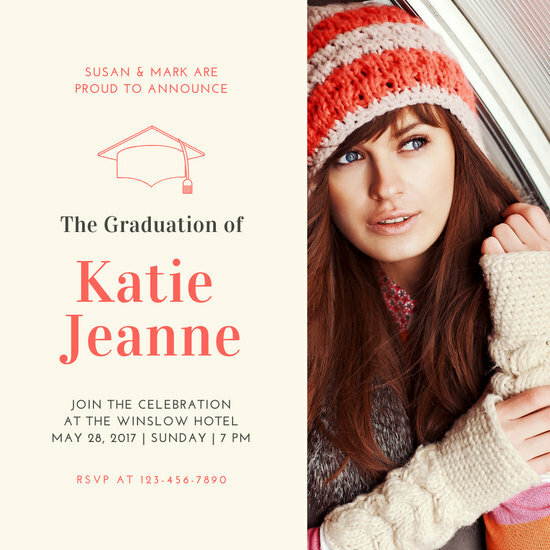 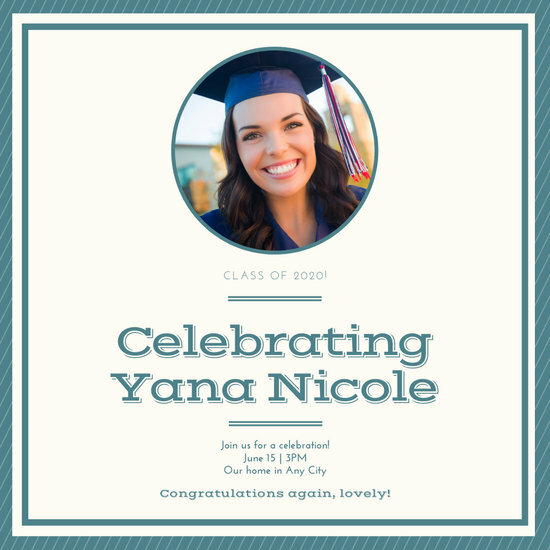 Send out graduation invites customized effortlessly with Canva. 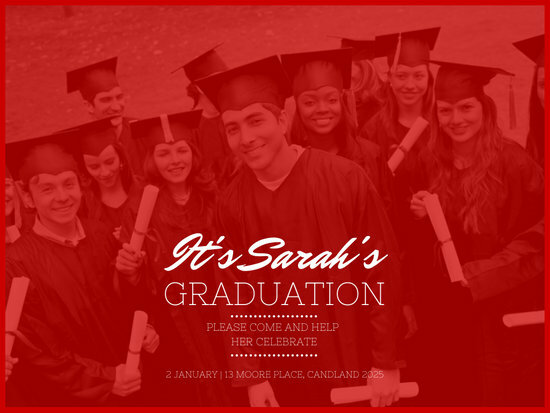 Graduation represents a huge step forward in the life of a student. 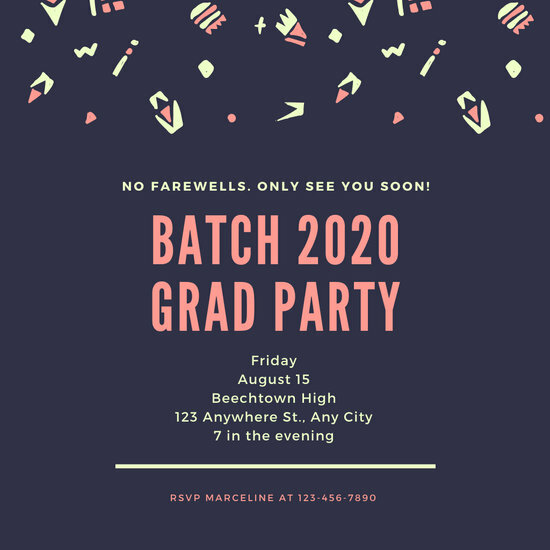 It's that singular moment of triumph in a student's long years at school wherein all the studying, the sleepless nights, the cramming, the close-calls and every single aspect related to their studies suddenly make sense. 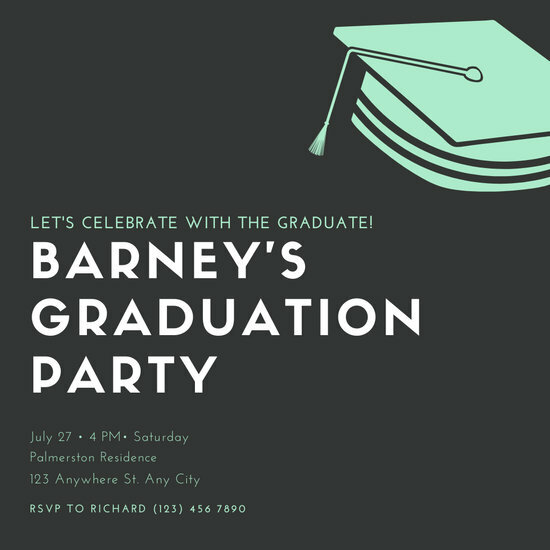 It's the moment of victory, so to speak, for the student… and the harbinger of a new stage in his life and more challenges to come, far beyond what the toga and that rolled-up piece of paper wrapped in a ribbon may have prepared him for. 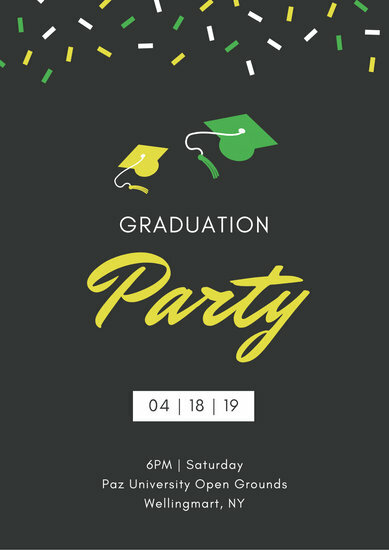 Of course, the student's journey towards his graduation wasn't one that he made all by his lonesome. 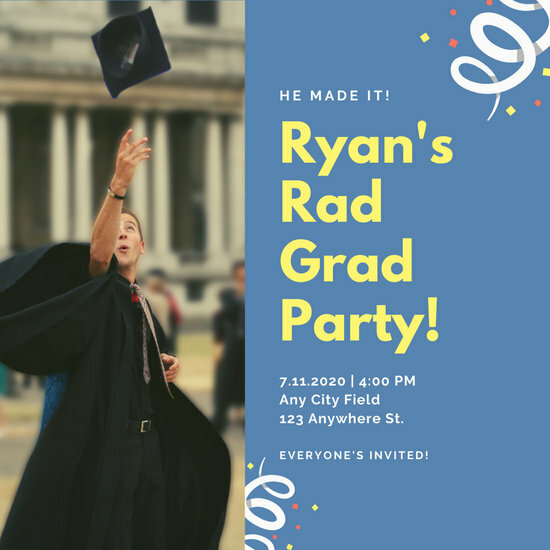 Remember that there were so many people who were part of his adventure as well - people who might want to bear witness to this glorious day in his life. 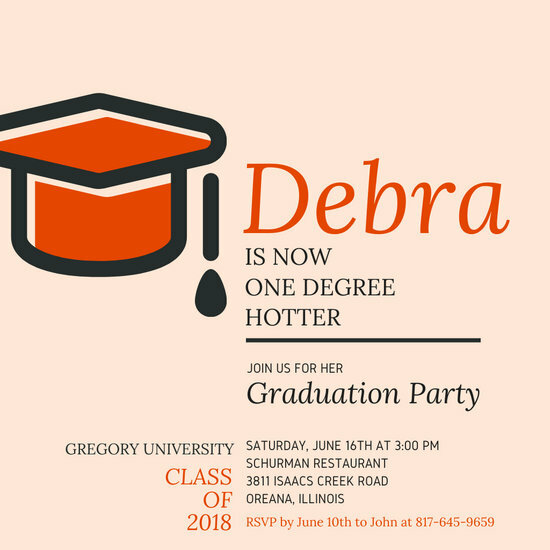 That's why you might want to consider throwing a graduation party for your child, or at the very least inviting some of your other family and close friends to attend his graduation. 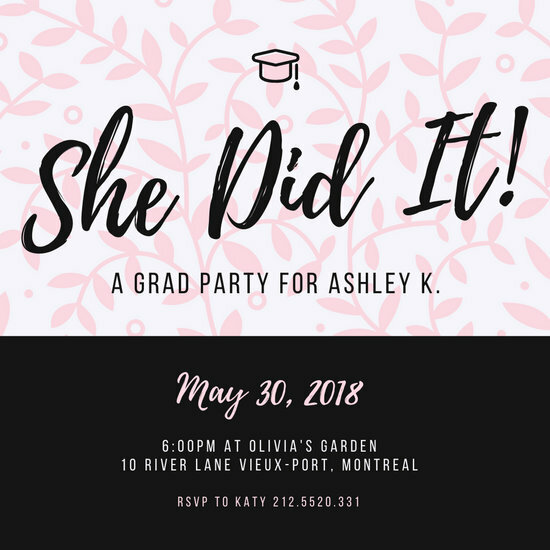 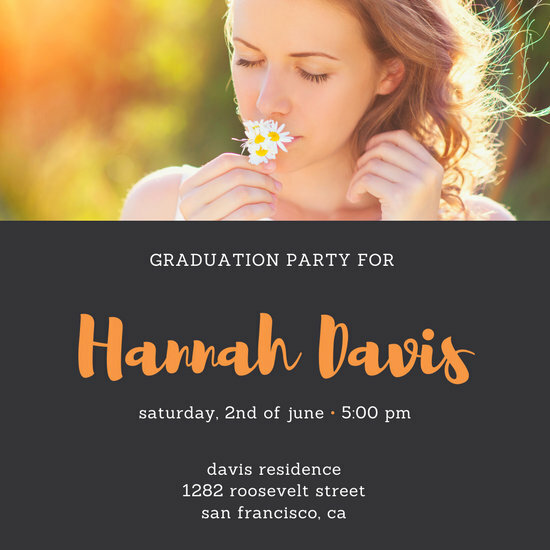 Luckily, you won't have to spend much time designing the invitation, as Canva already has a series of templates prepared for this occasion. 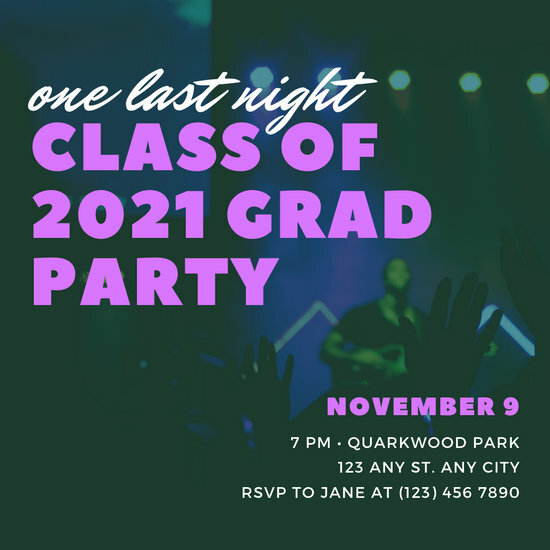 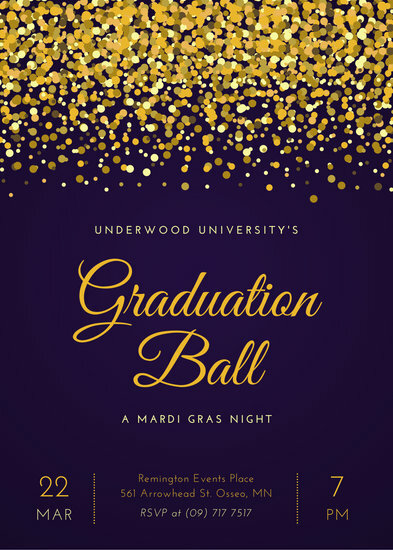 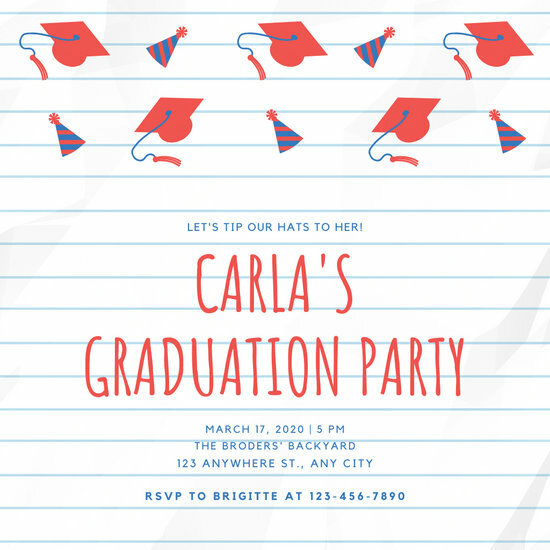 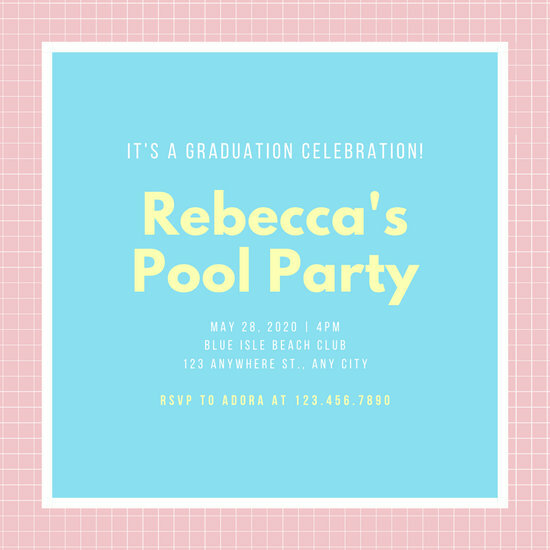 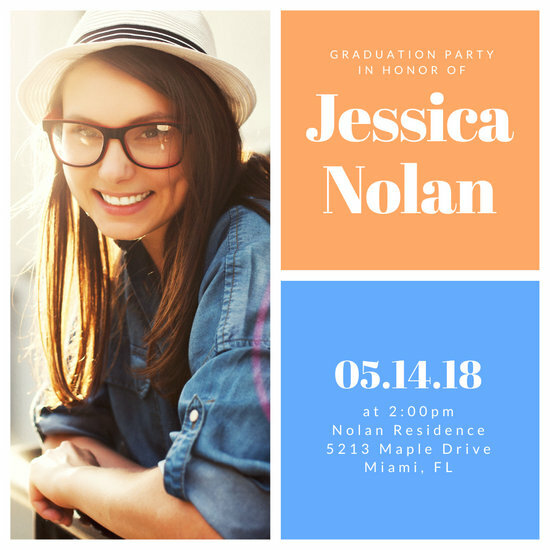 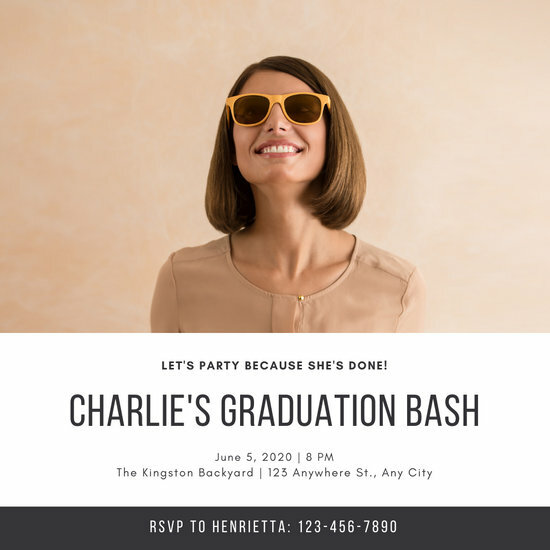 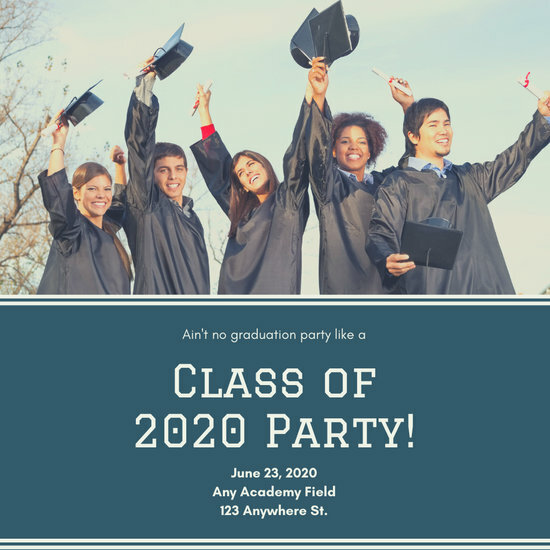 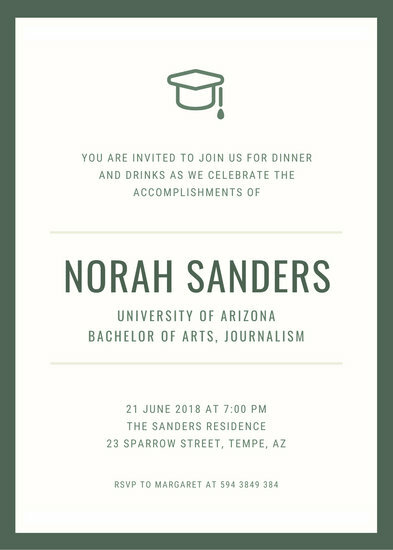 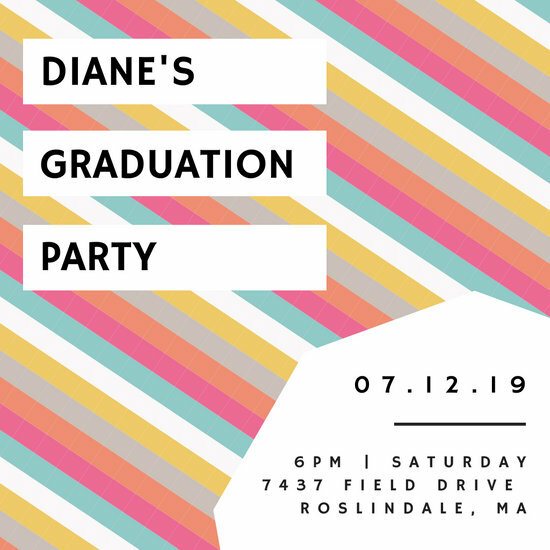 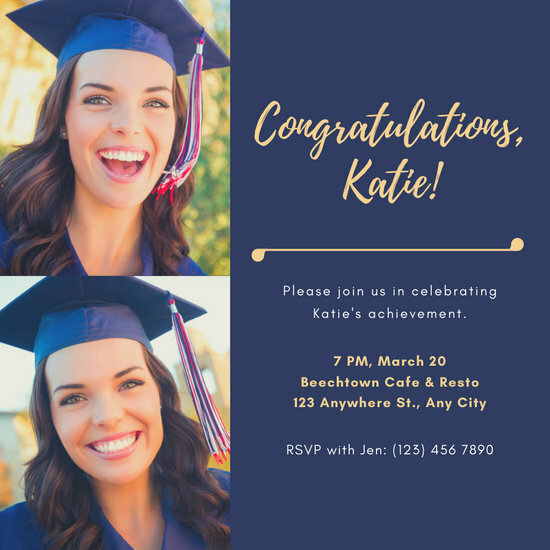 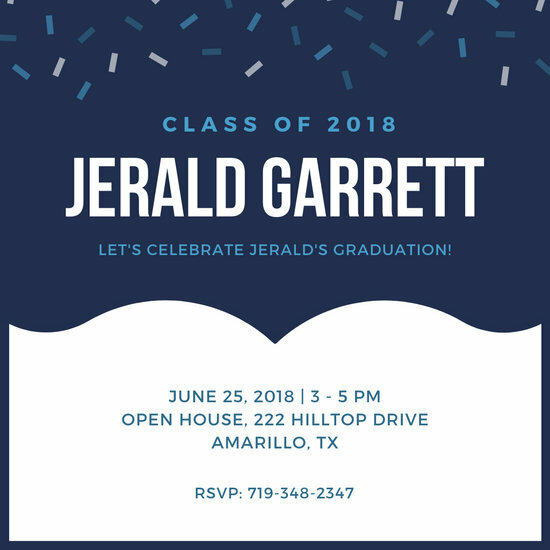 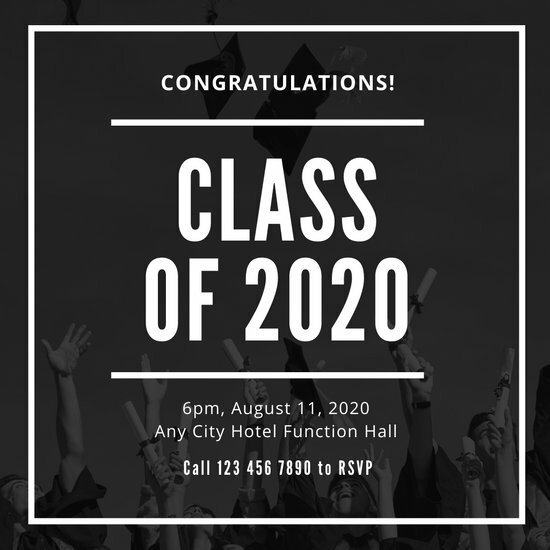 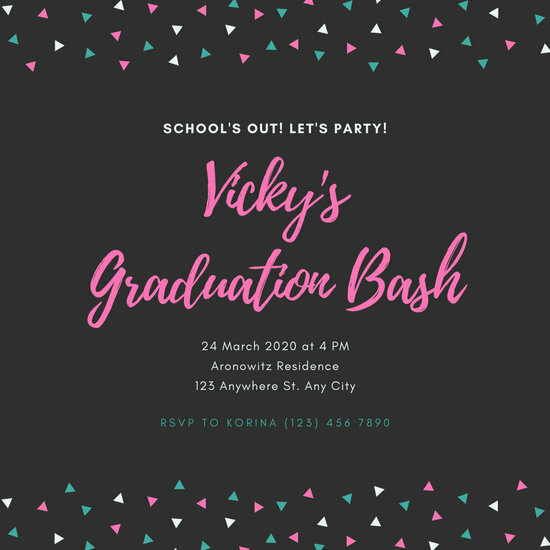 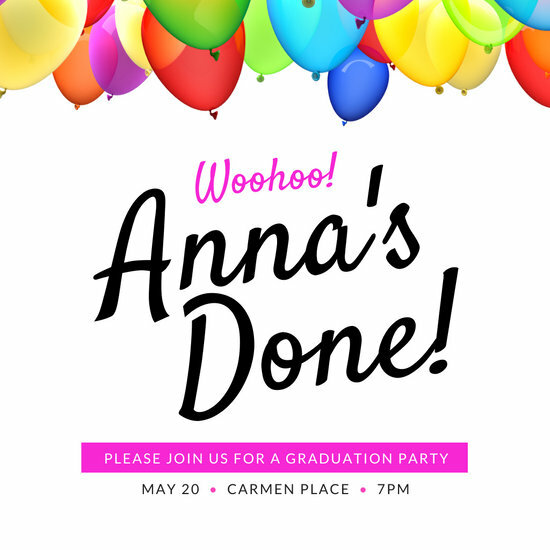 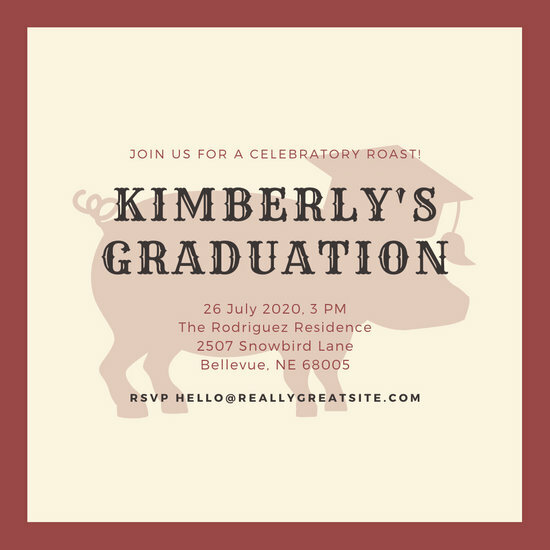 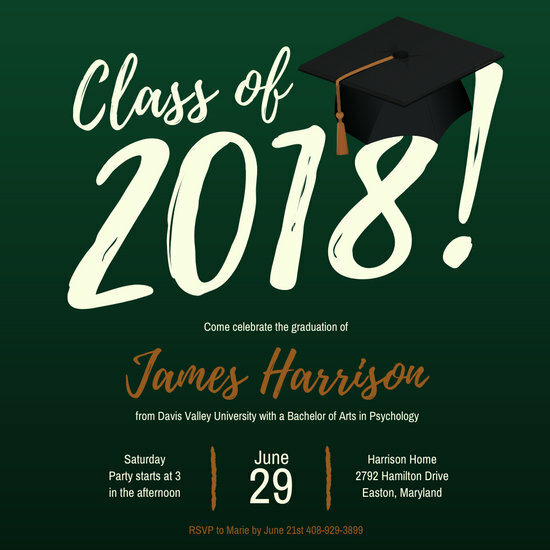 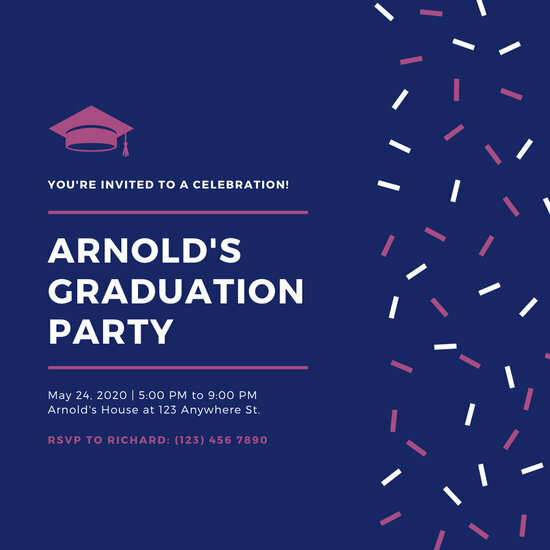 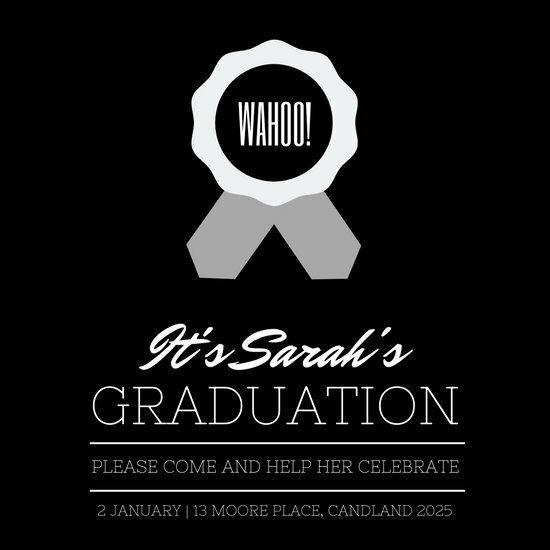 Designed with the needs of the new graduate in mind, Canva's Graduation Invitation Templates are complete yet customizable, ready to be filled in with photos and information at a moment's notice while still leaving enough room in the layout for personalization. 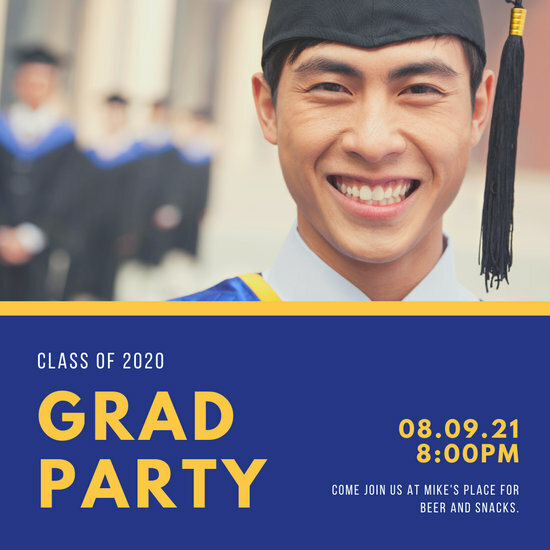 Don't lose sight of what really matters. 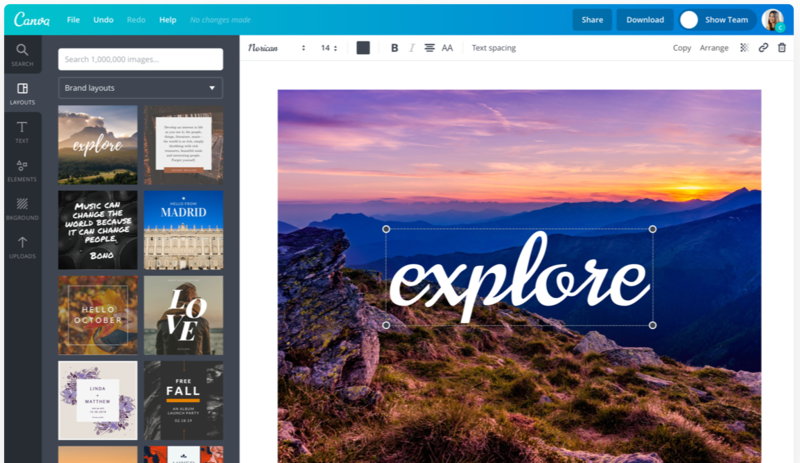 Let Canva make this task easier to manage.